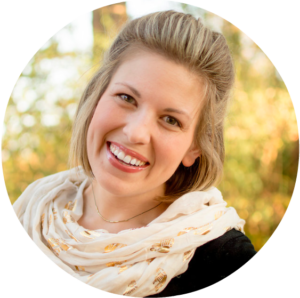 We are thrilled to share two posts this week from a sweet foster mom, Erin Grasham. 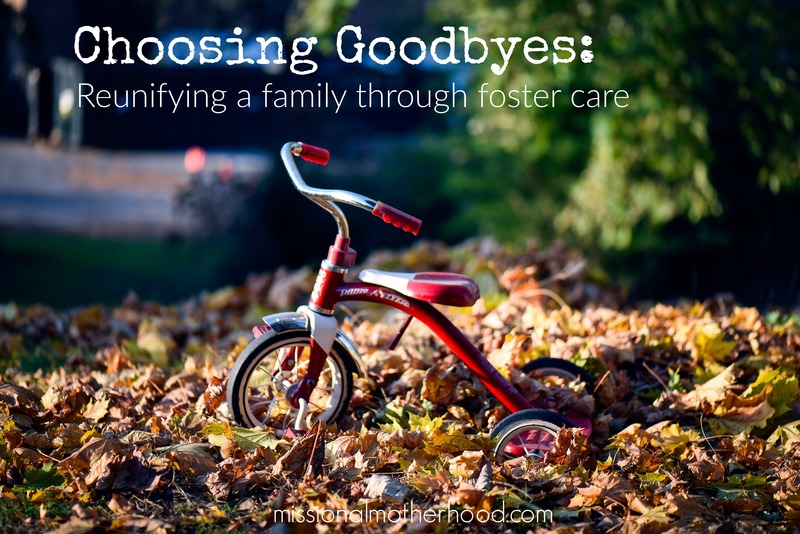 Today’s post is a glimpse into Erin’s foster care journey. Thank you for sharing your heart and story, Erin! Foster care is confusing. Frustrating for many. Messy, broken, reckless, loud. What would you expect from something born of loss? But foster care is also the dance in the rain, the muddy gospel footprints tracked into the living room. Responses are predictable, often uncomfortable, but quickly shifting. I love telling the story and letting people step into it, so I engage them as often as they allow. But one response, the most common one, never gets easier to hear. I’m not sure it really changes until it changes. I guess that’s the risk. But this is not a matter of risk. It’s a matter of must. It was a Friday in August the night I got the call about my three. I recognized the number flashing across the screen as the Department of Children’s Services, and my heart skipped lots of beats when I swiped right and made my life available. I heard their ages. I heard their names, their personalities, and their story. I had expected it to be a rugged story, but when the real-time details came through from the voice on the other end of the line, the only response I could come up with was urgency. I wanted to run to the rescue. I took on that assumed posture of, “How could they?” Not more than three hours later, I was tucking in a tired little princess and fashioning a pallet on the floor for two brave big brothers wanting more to watch over her than to rest in the beds I’d prepared. Anytime you take in a new placement in foster care, one of the first in a long list of checkpoints is a meeting at the courthouse, where the judge makes a statement about the removal. Everyone is there: foster parents, birth parents, children, case workers, a guardian ad litem, investigators, attorneys, the judge, and security personnel. It is usually the first time the children see their families since they were peeled away. Court always changes things. The first thing I saw it change was my heart toward my kids’ mom. I wish I could tell you her name, because that’s the point. When you hear a name and you see a face, a detail becomes a life, with breath and humanity and dignity. I didn’t know her life. I didn’t know if she was loved actually or whether she was honest or how many times this narrative had already been told. But I did know that she loved her children. When the hearing was over, I awkwardly slinked over to the old, faded pew she had sunk into. I stammered, “Hi, I’m the foster mom.” She was reluctant and tired. “I just want you to know that I believe that you love your kids. I want you to know that I’m in your corner. I won’t let them forget that you love them. I will fight for you.” Her tear-soaked face found my shoulder, and a respect was imprinted on us that hasn’t faded since. The eight months that followed were a long, excruciating surprise. And they were holy. I had no lack for challenging moments, too intense to share here now. We grew to expect the daily avalanche of what we could only call “big feelings”. And step by slow step, two families grew to one and three tiny humans grew their own budding knowledge of reconciliation. Our families celebrated Christmas together at their grandmother’s house, mingling traditions and exchanging gifts. I remember the way they sat me down when they presented the gift picked out for me, the kids’ mom beaming as she extended a tiny box. She took a picture. I ripped away the paper and lifted the lid to find a delicate, silver necklace in the shape of a heart, inscribed “Sister.” I won’t forget that. On the day of our last court visit, the kids dressed in their best, and I turned over the keys to my minivan to a dear friend, too nauseated to drive us myself to the county courthouse thirty miles away. When we unloaded the van and closed the hatch, I wondered whether they’d be making that ride with me again. The court room was full, and the docket was long. We waited hours to hear our names called, then in ten minutes, my life was rearranged again. I can’t tell you it was easy when my knees hit the ground and I locked eyes with my oldest. “I love you. I’m so proud of you. I’m so proud of you. I’m so proud of you.” And on I repeated. But to stand next to his mom, look the judge in the eye, and say with confidence, “She has worked so hard. She has done everything you asked. And she loves these kids,” –this was a privilege I could not have expected. When I was still the one changing diapers and checking homework and saying bedtime prayers, I knew how I hoped I’d feel when their new home became their old home. I hoped I’d know that goodbye was a win. I hoped that a great loss would only be the result of a great love. On that silent April drive home, those hopes became reality. Please leave your comments and thoughts below. We love to hear from our readers! Thank you for sharing your story, Erin! The beautiful mess of fostering…. Love your heart and dedication to this ministry. Yes!! We have two “friends” with us know whose mom has a lot of potential! As much as we love them, reunification will be totally worth it if it means she is doing well. Get the tissues! Thank you for that beautiful message. God added to our family through a “foster- to- adopt” situation. May God continue to bless your family and all those whose lives you touch! What an inspiration you are Erin! Thank you for sharing your heartfelt story. Crying. Thank you for sharing, Erin. You are a talented writer with a golden heart, and you bring glory to God with how well you love. Beautiful story of Gods plan specifically for you and your foster children! HE must be so pleased with you, His precious daughter. Praying for you, dear, fellow Mom. Beautiful. And I know you mean it. You are a gifted writer my friend and I heard your heart through all of it.